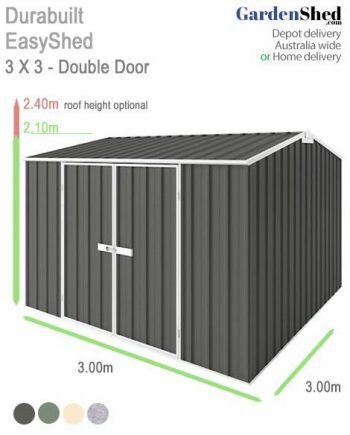 The EASYSHEDS sheds Workshop is Australian made and owned. 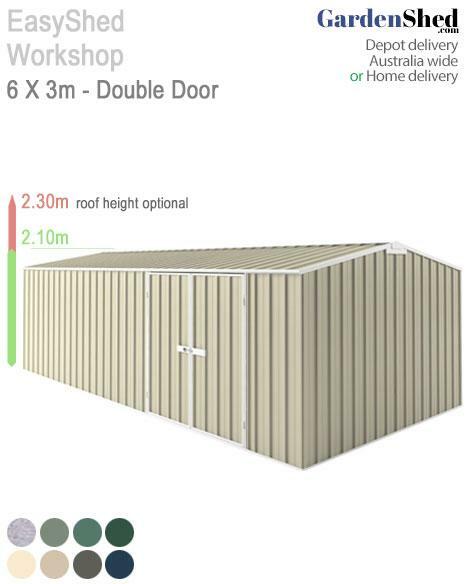 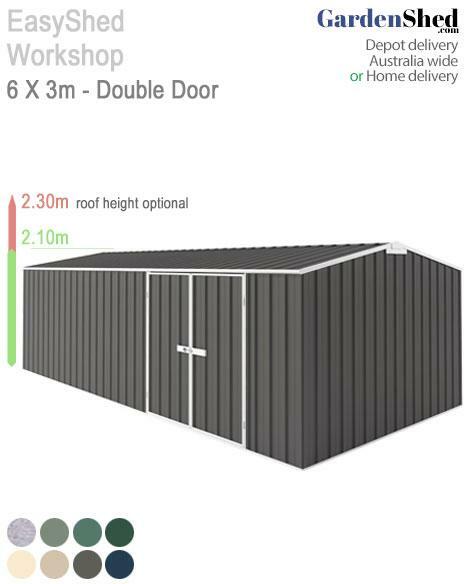 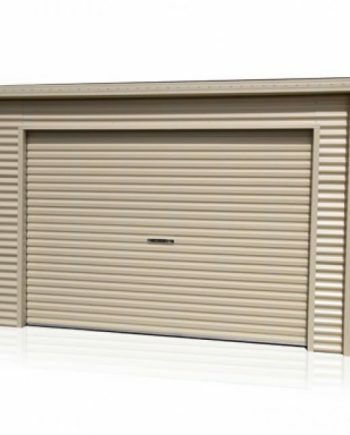 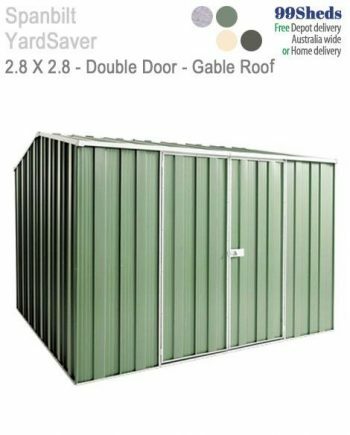 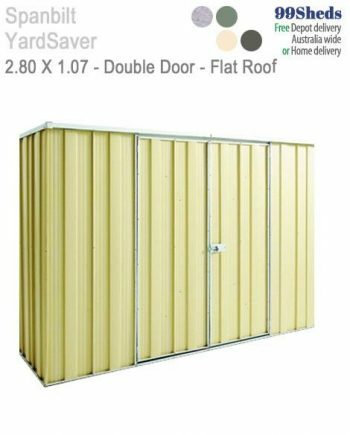 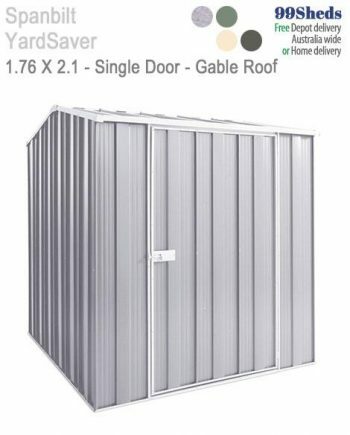 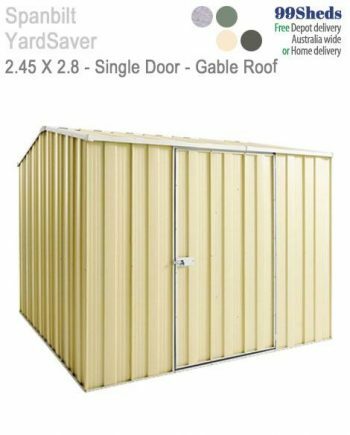 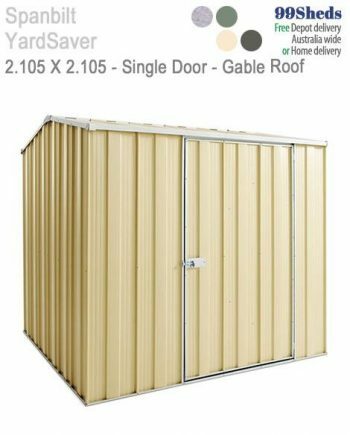 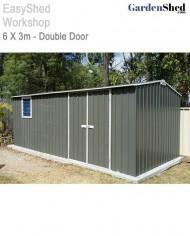 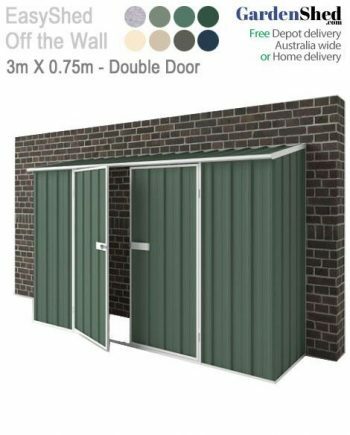 With double doors and heaps of room, you can store all your belongings in this solid workshop. 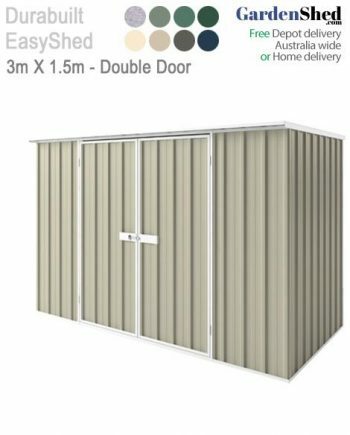 EASY SHEDS sheds are built to last. 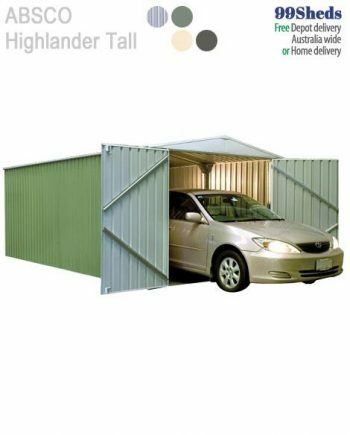 • Delivery (to depot) or Home Delivery. 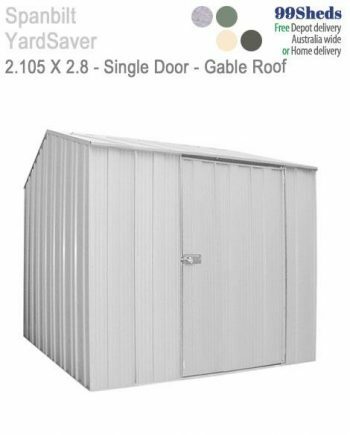 Find the closest depot in the Delivery Tab above. 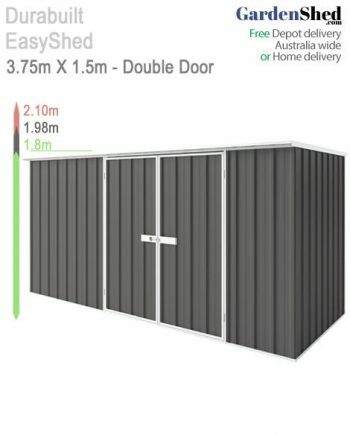 Just enter your Postcode and click search. 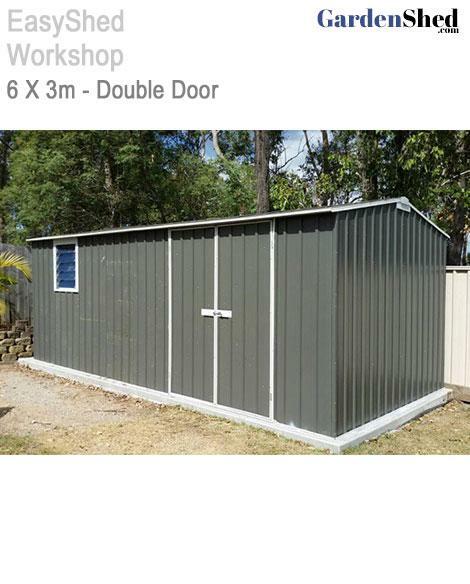 Absolutely great shed, good components, easy to follow directions.